Ralph Pick of Commonwealth Builders LLC has been at the forefront of custom-home design and construction in Tidewater for over 30 years. 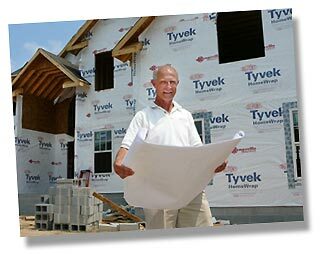 Actively involved in the building of a home from blueprints to its completion, he understands the process of translating the homeowner's ideas into reality. To that end, he works closely with every homeowner to incorporate their desires into the creation of not just a house, but a home. Communication, attention to detail, and drive are fundamental to the company's mission to serve the homeowner. These guiding principles have led to the successful completion of hundreds of homes and have earned recognition in past construction events such as Homerama. Quality is the hallmark of Commonwealth Builders. Ralph takes personal pride in every home he builds. He believes that quality craftmanship and materials are vital to the success of every home, so strict attention is paid to all phases of the home building process. He is on site every day to make sure that all the details have been taken of. He uses only the best sub contractors, many of which have been with him for 15 years or more.